Based on 562 customer ratings. Why order out when you could stop by our dining room with full bar? Prefer eating in? Order online and request pickup or delivery instead. When it comes to the best Chicago-style pizza in town, no other restaurant can match the heritage, craftsmanship or traditions of Giordano’s! We’re the best pizza place in Chicago because our artisans carefully construct each pie with the best ingredients, and then slow-bake it to a flaky perfection. 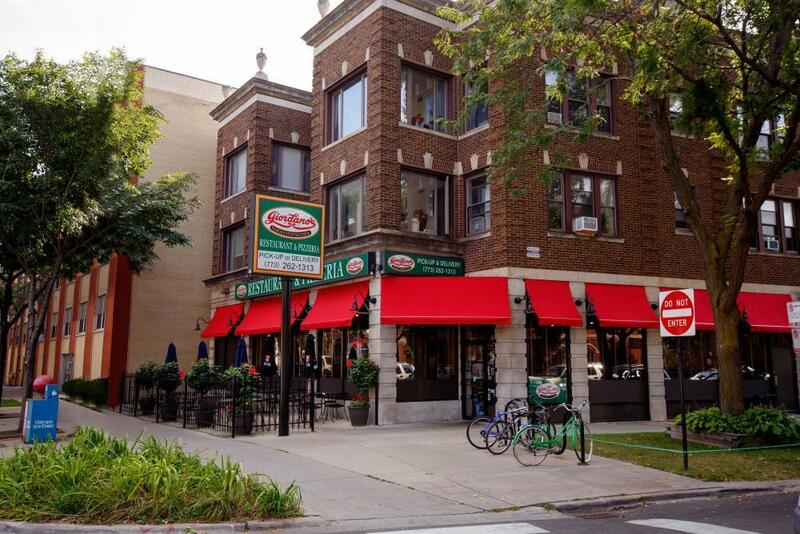 Now you can enjoy the taste of Giordano’s at our convenient Rogers Park location. Every Pie, Tenderly Built At Giordano’s, we’re so much more than just the best pizza delivery and restaurant in town. We’re a cherished Chicago tradition that has kept customers coming back for over 40 years. We build layer upon layer of delicious vegetables and meats over the flakiest pie crust, topping it with fluffy mozzarella made just for us on a small Wisconsin farm. Try one bite of our slow-baked pizza, and we think you’ll agree! Don’t forget to check out our full menu. We have outstanding pastas, fresh salads, hearty sandwiches and delectable appetizers. If you’re going gluten-free, just ask. We have something for everyone to enjoy!